TeraVicta Technologies receives $2.5 Million dollars in equipment lease financing from Point Financial to aid in the development of the companies breakthrough MEMS technology. 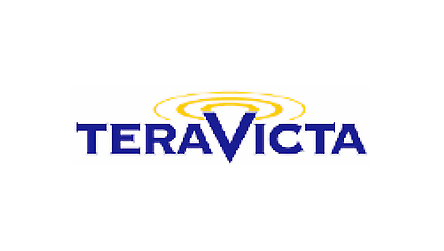 TeraVicta is a Texas-based company that has developed breakthrough semiconductor components that manage the radiofrequency (RF) signals used by leading edge electronic products-from automatic test equipment to wireless handsets. Kenny Roberts, President and CEO of TeraVicta was excited about the transaction as well as welcoming Point Financial as a new capital partner. Mr. Roberts looks forward to growing the relationship with Point Financial overtime as the company begins to ramp. Point’s money will work alongside current investors Convergent Technology and Agave Capital. Point Financial is pleased to add TeraVicta to its portfolio of financed growth companies. About: TeraVicta Technologies is a Texas-based company that has developed breakthrough semiconductor components that manage the radiofrequency (RF) signals used by leading edge electronic products from automatic test equipment to wireless handsets. The comapny’s products are based on next generation MEMS (Micro-Electro-Mechanical-Systems) technology that uses semiconductor micro-fabrication techniques to build miniature components that switch, route, and manage critical RF signals. This allows TeraVicta to integrate RF switches and other advanced components at the chip level-reducing size and cost while improving performance. As a result, TeraVicta’s products have superior electrical characteristics and are smaller and more reliable than existing products.